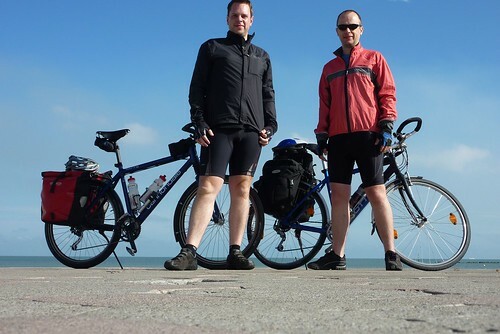 Back in 2010, my brother James and I cycled the 550 miles from the French coast to Zurich in Switzerland in a week, roughly following the First World War western front, through Belgium, northern France and Switzerland. We did the ride to raise money for Leukaemia Research in memory of our mum, Shirley, who died in 2009. With the centenary of the start of the First World War, and as a number of people have contacted me for details of the route, I thought I would re-post the original route, diary and video entries. I've done a number of longer rides, including Lands' End to John o'Groats, through Germany and the Czech Republic and from Birmingham to Montpelier in France and this definitely ranks among my favourite.